Women never get enough of branded suits in any of the season. Whether they want formals, semi formals or Eid collection they are always fond of branded suits. Few of the brands like Sana Safinaz, Maria.B, Rang Rasiya, Erum Khan, Khaadi, Nishat linen etc are very famous of their amazing clothing line. So we all know that Eid ul Fitr collection by these brands were just flawless. Now ladies it’s time to go crazy for some new colorful yet enchanting eid collection by some tremendous and famous multi brands. Talking about different brands we must not ignore the fact that the price range of these designer wears are so much high. Spending 10k to 15k for one day dress for your eid collection is too much. O yes we do understand that some people would not care about the price fact, but it would definitely appreciate that if they would launch reasonable eid collection having amazing designs. 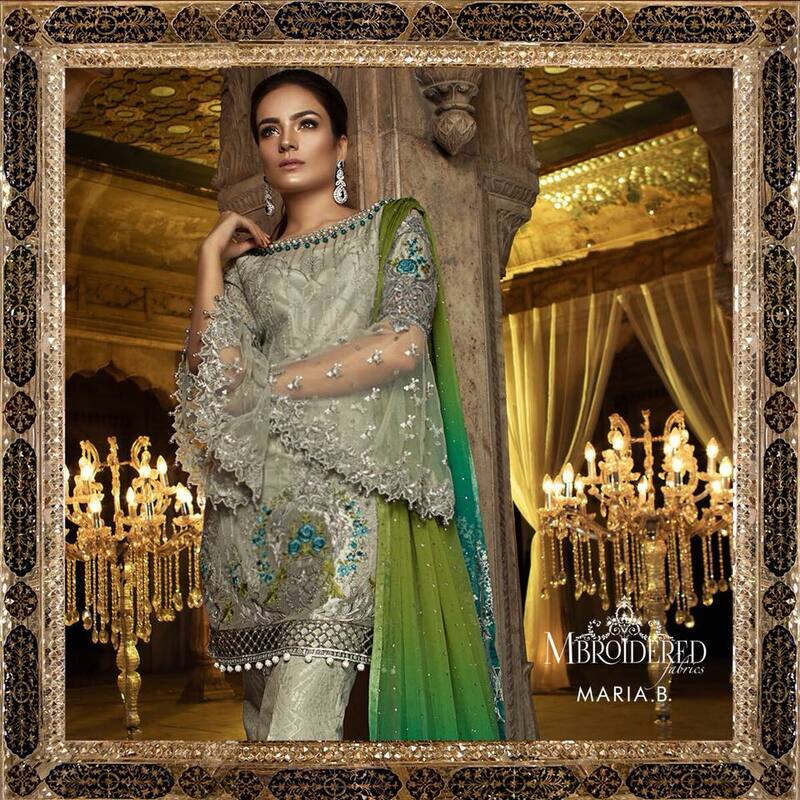 if we walk about unstitch collection of MariaB, we could not resist by saying that its just OUTSTANDING! The details of this dress can be seen clearly. Go for it girls before the stock has gone. Talking about other designers, they haven’t yet introduced their eid collection. But their midsummer lawn collection is already available now and selling like hot cakes. Making the right choice to buy your eid dress is so difficult. These multi brands are working from dawn to dusk to give you the best option for you eid collection of outfits. 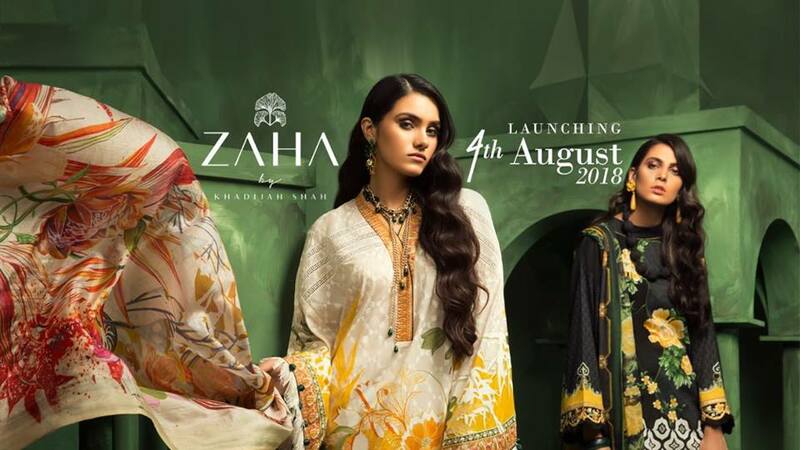 The famous designer Khadija Shah has also launched its new brand by the nama of ZAHA. She was known by her brands Sapphire and Elan. Her first collection for ZAHA would launch on 4th August 2018. You guys can have them as a eid outfit too. Letr have a look on those few beautiful pieces. As we know just few days are left for eid to arrive…All are curious for different designers eid collection. We are also having an eagle eye on every designer. Stay with us Deikhoo will keep updating you. If you wanna know about some specific one, do let us know in the comments.